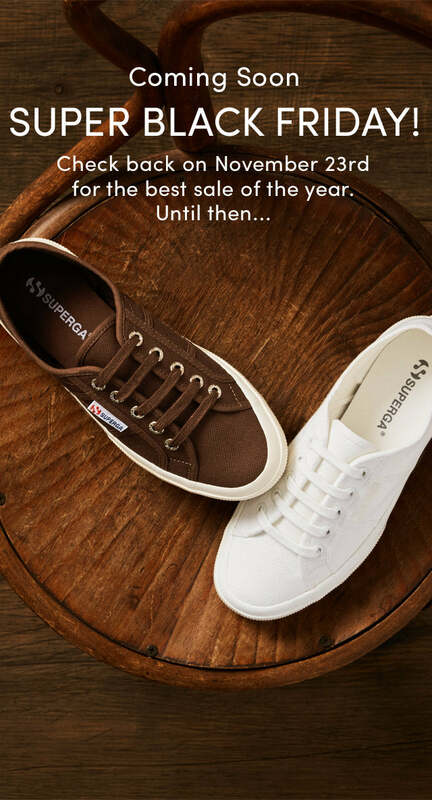 Get to refresh your sneaker collection for less.Superga Black Friday sale is packed with unbelievable once-a-year deals on your favorite fashion sneakers. Stock up on fresh classics like white sneakers andplatforms, or take home the standout pair you've had your eye on all season. The Black Friday sneaker sale at Superga is the perfect opportunity to save on all your favorite designs and score major style at the same time. Explore our standout Black Friday sneaker deals for women, men, and kids, and outfit the whole family in iconic sneakers, slip-ons, platforms, high-tops, and more in a stylish selection that's made to impress. Find your favorite fashion sneakers, slip-ons and other styles when you shop our one-day-only sitewide Black Friday sneaker sale.